There is an International Back to Back Wool Challenge spinning competition held every year around the world in countries such as New Zealand, Australia, Scotland, Japan, USA and Canada. The event may be held in a public location of the team's choice, during the months of May and June, and the rules are the same for everyone. A team consists of 7 handspinners and knitters and 1 blade shearer. The objective is to complete a sweater following the same pattern within 8 hours. Some teams use the event to raise funds for charity, and all teams are interested in promoting the wool industry locally and in establishing a worldwide network among the participants. Shear Delights is a local team who have joined the challenge. This is the second year they have competed. The event will be held on May 31 at the Lawrencetown Fire Hall, 549 Main Street, Lawrencetown, NS. Doors will open at 8:30 am. The event will run from 9 am until the team is done. Light lunches and home baked goodies will be available for purchase along with tea and coffee. Donations are welcomed and give you the opportunity to win the Challenge Sweater as well as other surprises. This year Shear Delights is pleased to raise funds for the Annapolis Valley Regional Library. Check out our new Bookmobile which will be onsite from 8:30 am - 4:30 pm. Join Youth Services Librarian Angela Reynolds at 11 am for storytime. Another stortyime will follow at 3 pm. You can follow this event on the Shear Delights Facebook page. Come cheer the team, Shear Delights, at this unique event as they compete against the best in the world and raise funds for the Annapolis Valley Regional Library. Why are all the AVRL branch libraries closed on Monday, May 26th? Professional development in the workplace refers to the acquisition of knowledge and skills for purposes of both personal development and for career advancement. The goal is that the opportunities serve to make staff more comfortable at their job, better at performing their duties, and therefore happier in the workplace. Our annual Professional Development day, or Inservice, is on Monday, May 26th. This is the only day during the year when all staff are together for training and sharing opportunities. Additional staff development takes place at other times, and in various ways, but this is the single day when all branch locations are closed and workers have the opportunity to share experiences and learn together. What will we do this year? - Staff will report and share stories about Programming. What programs proved popular with the public? Why? Why not? Could this program succeed in another library location? With a different age group? Another time of day? - There will be a refresher on Catalogue Searching and the recent upgrades to the public catalogue. We want to find everything you ask us for, and ensure we pass search tips and enhanced functions on to you as well. - Book Displays can be an important and enjoyable visual component in libraries. At this year’s Inservice, staff will be supplied with ‘mystery boxes’ and challenged to create the best display! - Readers’ Advisory is the business of assisting library patrons with their reading needs. i.e “ I’ve read everything by Louise Penny! What can I read now?” Staff will share some tips and tricks of the trade. - Workplace Fitness is important for library workers too. We need to lift those heavy boxes of books, and shelve them, safely so our collective backs and knees will last awhile, and we need to stand or sit at our workstations in an ergonomically correct way. Sharing these trying, and sometimes sad, experiences assists us in developing situational best- practices. That’s not a complete synopsis of the annual training day, but a sample. So, what do you think? 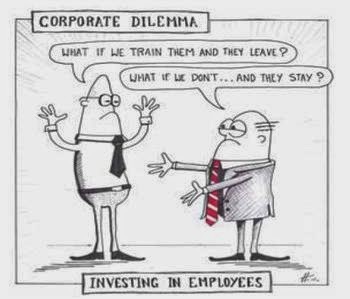 Professional Development in order to serve you better? That’s our goal, and we hope to achieve it on May 26th. Every day we are bombarded with thousands of articles, books, television ads, and social network apps all in the name of fitness. If we do this program, that diet, work less, de-stress more, we will become happier healthier humans. The truth is few of us can apply ourselves to the demands of programs, food guides, group fitness and life counseling. What we all can do is walk. It is not magic, there is no training, no guide to follow, just put one foot in the front of the other. Take the stairs, walk around the block – literally, take a walk in the park, explore the nearest boardwalk. 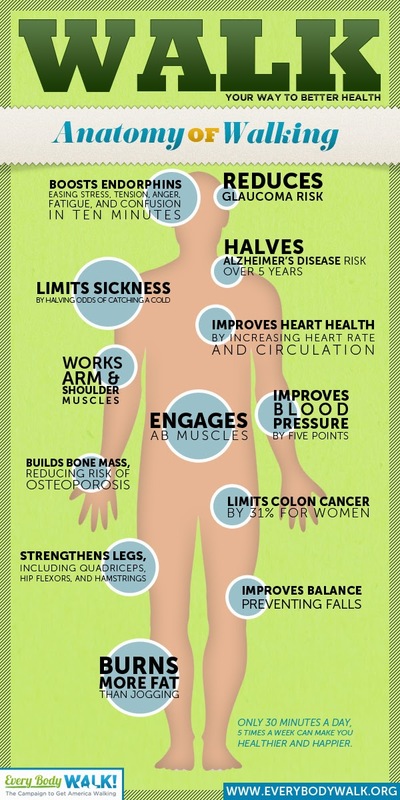 There is no down side to walking, no harmful side effects, no records or times to keep track of. Yet it has proven to be one of the most beneficial treatments for arthritis, depression, asthma, obesity, heart disease, and anxiety, to name a few. Our bodies are made to walk and it doesn't matter how little or how much you do, as long as you do it. Wednesday May 14th is the second annual Nova Scotia Walk Day, a program put together by the Heart and Stroke Foundation to encourage Nova Scotians to walk for 10 minutes. Communities, businesses, or individuals can register their walk at http://walkaboutns.ca/ for a chance to win one of 3 prize packages. Check the website for groups in your area if you don't want to walk alone. Some people like to keep count of their steps by borrowing a pedometer from their local library. So set aside a few minutes every day to do what comes naturally – walk. And if you need some inspiration, we do have books, of course! 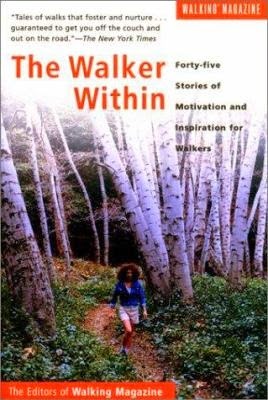 Try The Walker Within , filled with " moving stories that reveal the joys, frustrations, observations, and sublime moments" of walking. Recently my job title changed from Regional Librarian to Chief Executive Officer (CEO) and it’s surprising how much more prestige the new title carries. I have been congratulated by many on my promotion; however it is not a promotion at all. No new responsibilities, no raise in pay – just a title change. You see, Regional Librarian was the title used for the Head of the Annapolis Valley Regional Library for years; however many did not understand that it meant this position was in charge of all public libraries in the Annapolis region. Lots of other libraries use the term Chief Librarian or Library Director to identify the head manager of the organization but lately more and more are using the generic term CEO and dropping the word librarian or library all together. Why is it that the term “librarian” does not generate as much respect as CEO? Possibly because the word “librarian” is overused and misused. Not everyone that works in a library is automatically a librarian. To become a professional librarian you must have a Masters degree in Library & Information Studies (MLIS) or Masters in Information Management (MIM). The name varies depending on the school. Most of the staff the public encounter in libraries are Library Clerks, Library Assistants, or Library Technicians. Library Technicians have a diploma in Library Studies from a community college, and Clerks and Assistants typically have on-the-job training in library work. Other professions grapple with position titles as well. Take nurses for example. There are Registered Nurses (RNs), Licensed Practical Nurses (LPNs), Personal Care Workers (PCWs), etc. The public often lumps them all together as nurses, but those in the profession distinguish themselves accordingly using the proper title. Same with accountants: they are always distinguishing themselves as CAs, CGAs, etc. Why not library workers? If you have worked hard to get a Library Tech Diploma or a Masters degree, why be shy about it? What’s in a name? Apparently a lot.